Yesterday, feeling inspired I created a fun puzzle and activity worksheet for my grade three class. 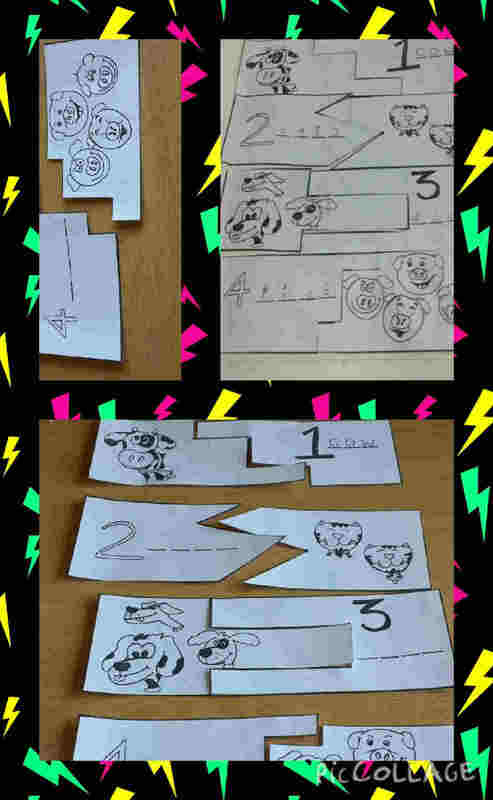 We're currently studying the topic of numbers and animals - and moreover, creating plurals. A great song to sing for this lesson is the number song by one of my favourite video makers 'Kids123'. They always have great melodies and lyrics. "One cow. Two pigs. Three dogs. Four cats." and "How many _______ are there?" etc. So, as a fun warm up and writing activity I thought I'd make a paper puzzle with illustrations of animals and spaces for them to write the animal names. 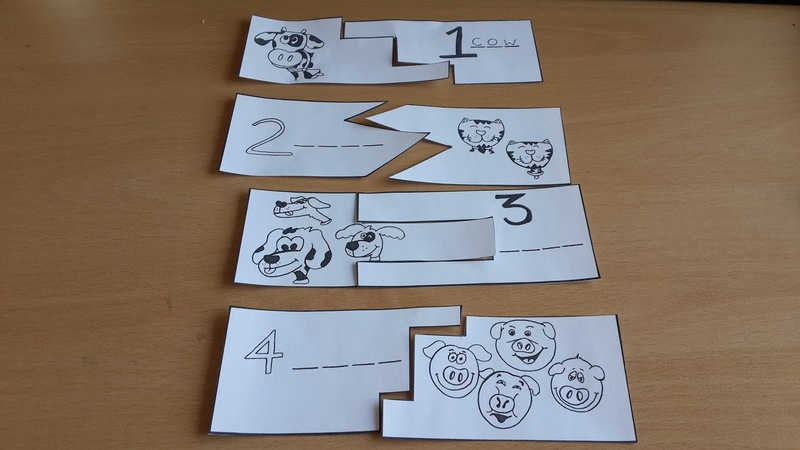 Download my Animal Counting Paper Puzzle Here. The kids when seeing it, got really excited. I cut them all up myself the night before class and mixed them up, then put them in piles, securing with paper clips. "How many cows are there?" Me: "Catssssss s sound sssssss"
Then I had them fill in the blank spaces with words. 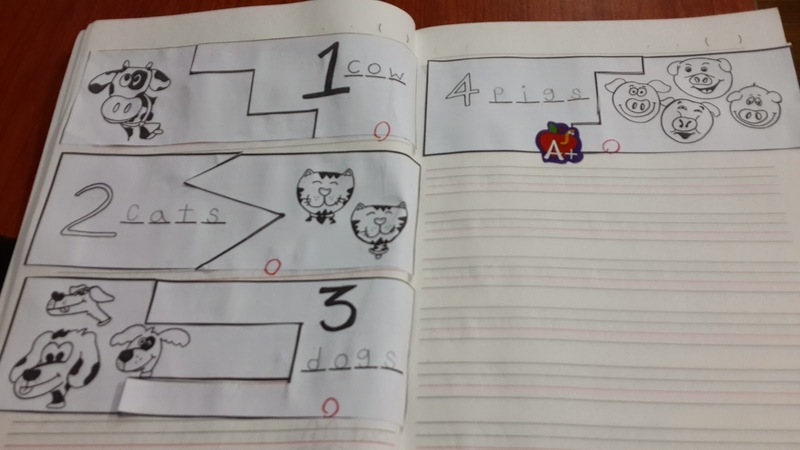 I wrote on the board with them, pushing them to spell by making phonic noises for each letter. They knew about 80 percent of the time but still a bit shaky here and there to spell 'pig' and 'dog'. Here's how well they did , as I got them to stick the puzzle in their English notebooks. It went really well and it was a nice change for them to do something more hands on.